Lake Victoria, smiling kids, singing, dancing, traffic, chili sauce, chimpanzees, painting, sitting in the dark, a carbohydrate infused diet, education sessions, pit latrines, laughing, African concerts, Mpigi health center, our neighbors Subi and Jolly and ‘broccoli!’, are just a few words to describe my once in a life time experience in rural Uganda. I am blogging back in the states and wanted to share the highlights of my trip. 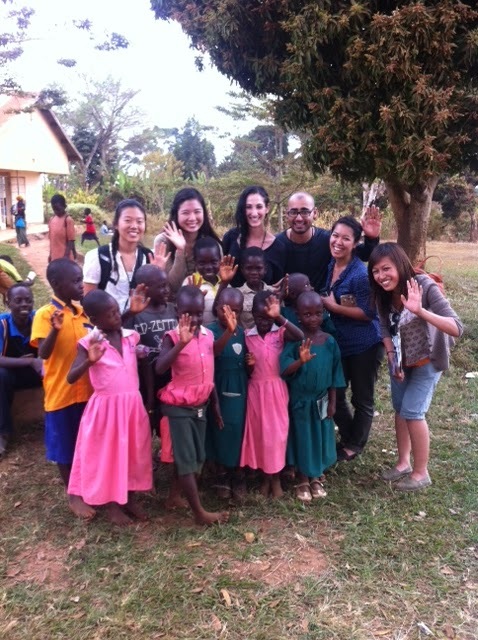 From the moment I arrived in Uganda I was captivated by it’s beauty, green space, culture and by it’s welcoming people. 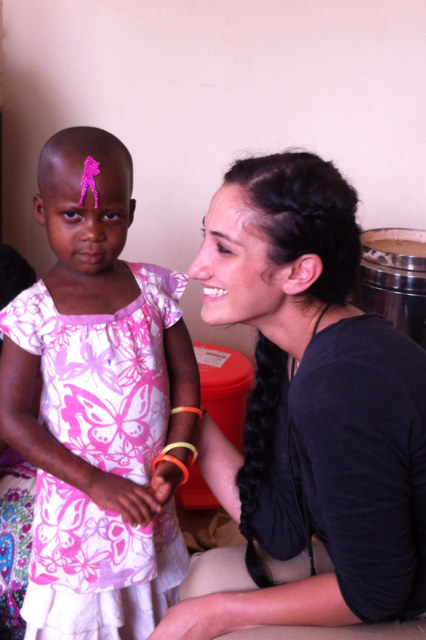 Myself and a group of 10 USC students traveled to various health centers in Uganda, conducting sanitation/hygiene and nutrition/breastfeeding assessments, and education sessions on HIV/AIDS, nutrition and sanitation. There are many stories I can share with you, going to a clinic and seeing babies and children get tested for HIV, to sharing our first HIV/AIDS education session, to playing with school children, or the story of painting the maternity ward for the clinic, but the time we went into a village to visit people’s homes, is the part of this trip I will never forget. I knew going to Africa I was going to see poverty, but it was not what I expected. What I saw was extreme poverty, children without shoes, little to no clothes, homes no larger then a closet, animals living inside their homes, barely any food, and water, had you boiled it ten times, still would not be clean enough to drink. However, in spite all of this, the children of that village still managed to find fruit and offer it to us as a sign of respect for visiting their village, and that is a moment I will not forget. 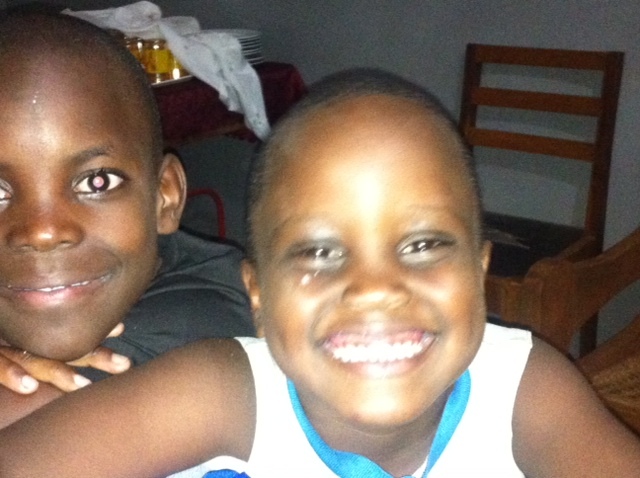 Despite their hardships the children remain the light of Uganda. These are experiences that you can not learn in a classroom, that you can not really fully comprehend until you see it first hand and experience it. I came away from this trip learning about the health care system in a third world country, medical services, and government funded clinic facilities, but most importantly, I learned about innate survival; water, shelter, and food. In this country you are not defined by what you wear, or the car you drive, but by how you treat others, by the respect that you show to every person you meet. As I reflect on my experiences now, I am truly humbled and appreciate everything that I have, the opportunities that are presented to me on a daily basis, access to healthcare, fruits and vegetables and plumbing. This was truly a remarkable experience and I wanted to thank the Institute of Global Health, Dr. Wipfli and Dr. Samet, Rukia, Nivvy, Robert (aka ‘Coach Bob’), and Sande for coordinating this trip and my fellow classmates who also shared the experience.